Yes, the current converter is stock. We are looking at different deals on converters, reading about them, and it is hard to decipher if one brand is better than another. There is another drag event at the same airstrip tomorrow, so I'm going to ask around about this subject. Got an unexpected call from someone I don't know as a result of my conversation with my engine builder. This fellow has a rebuilt 200 4r that was supposed to have been modified to live behind a 350. If it is built right, it might be the thing this car needs to be as good as it can get with this head/cam combo. It even has a converter that is in the 2100-2200 stall range. I asked the guy to see if he could get more info about the build relating to the hard parts that may have been changed. It was built, then never installed for whatever reason. For an $800 asking price it might be a good deal. For now, we'll see if the tires make as much difference as it feels like, along with maybe seeing if removing the front bumper changes things very much. Give ACC Performance Products a call or fill out the converter selection PDF and e-mail it to them. They helped me out when I was digging through converter choices. No drag event today due to rain. This area has been in drought for the last 6 months, and today is the day it decides to rain. The farmers are happy at least. 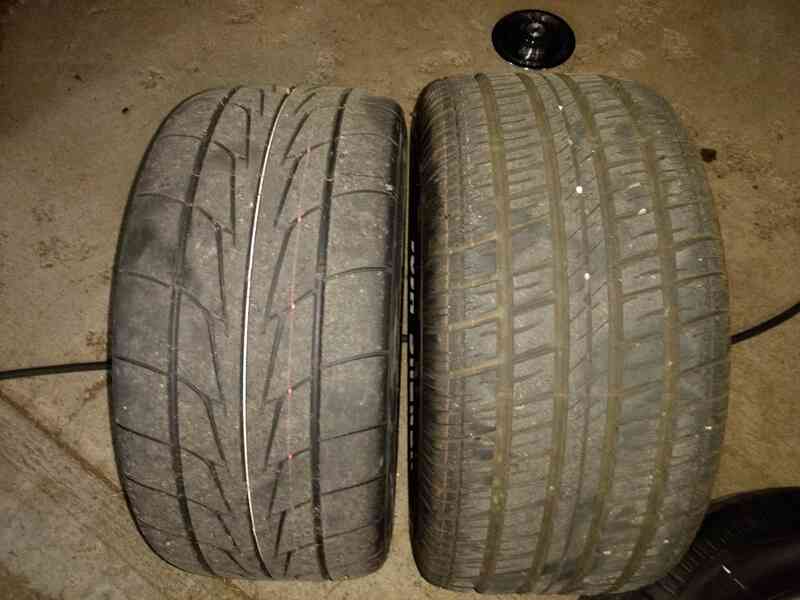 Just a pic showing the difference in size between the tires. I can't believe it's been so long since I updated this thread. I am sorry to report that I have no video of the most current drag day. It took them months to reschedule the stupid thing, then there was really only one way in or out due to muddy roads and there was some question as to whether to go ahead once there because of a small puddle of water in the right lane. About five guys with pushbrooms got it cleared up after ten minutes. I am happy to report that the Malibu did pretty good. Still too quick for the regular street cars, and too slow for the faster cars so after people got there cars sorted out and being selective about there races, we were done. I also found out what it took to boil the fuel in the carburetor. After that day, we just cruised it around town when the weather was nice, and like everybody else, winter hit and put everything to a halt. The past couple of weeks have had me busy doing a brake job. Yes, weeks. This seemingly simple job started out as me wanting to just bleed the old fluid out. Except the passenger side caliper bleeder was rusted shut beyond breaking it off to turn it, and the driver side would open, but no fluid moved until I pressed as hard as I could. Then it would pop and a little bit of fluid would escape. 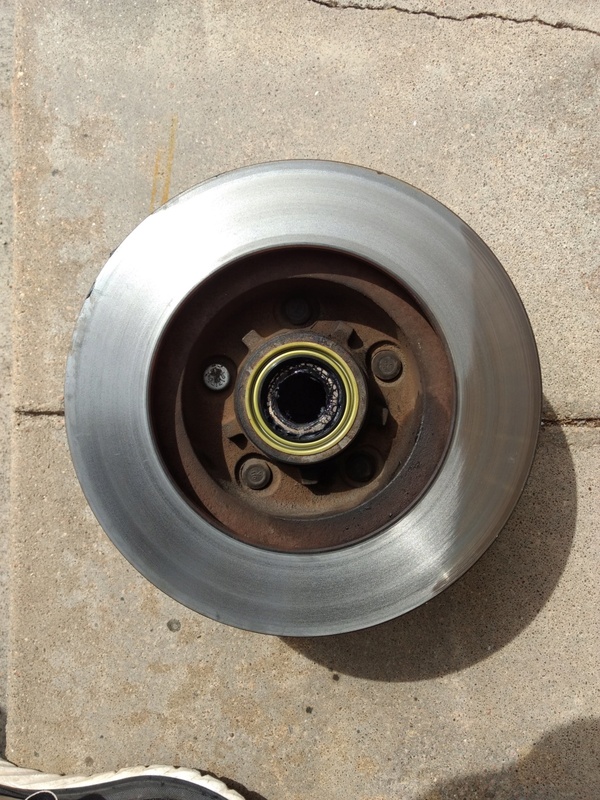 After giving up and deciding to order new calipers and such, the car would not move. 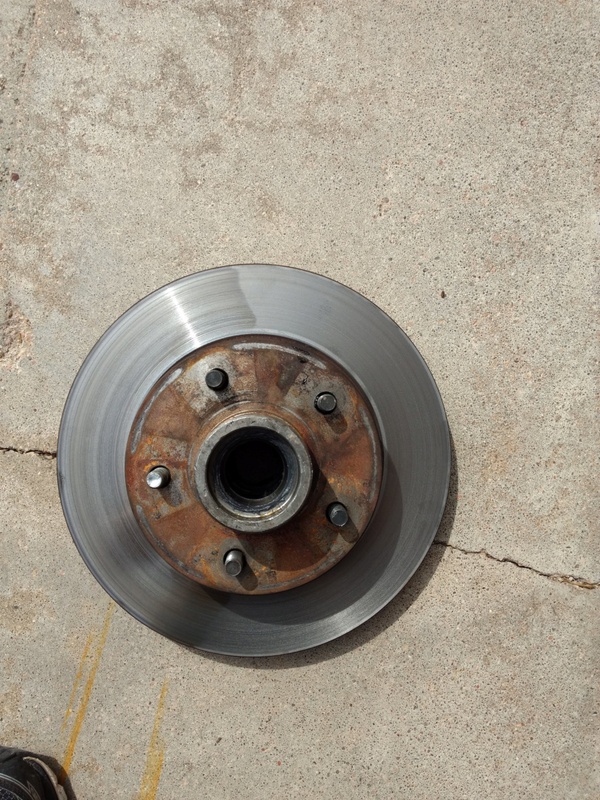 The calipers had locked up so tight I had to practically power brake it into the garage. Tore it down to get the rotors and drums turned, parts ordered, etc. and that is where it stayed for our heavy snow winter blast. On the note of turning the rotors, I had taken them to the local O'Reilly's because nobody else that I know of does that around here. Two rotors and two drums. Went back five hours later, and they had only the rotors done. I pointed this out to the clerk and he mumbled something related to miscommunication issues. So he got them on the lathe, and I went back after dinner to pick them and the rest of the parts they had on hand. Got the parts home successfully, and they looked alright. Then another winter storm came along (the bomb cyclone). Finally, this past weekend, I had time to get this finished up. Got everything together and take it out for a test drive/pad break in. Didn't get far at all before I realized that the machine work got all four corners wrong. It was like the drums were done off center, and the rotors were shaped like a cowboy hat brim. So that is the status of this car right now. AWP. I feel your pain. Small projects always turn into large projects. Just going to replace them now, or can they be salvaged? I will probably go with brand new. I've had other rotors turned at this place and been good, but there does seem to be a noticeable turnover so I just don't know if I will get the right person on the job. I got all the drums and rotors replaced with new parts. Turns out it may have just been just one of the rotors was machined wrong. » Fresh vs Frozen ......................... Fight! » cooking in the bush for hungry and weary prospectors. » What to buy... Fresh/Saltwater spinning outfit?